Now in its 26th year! 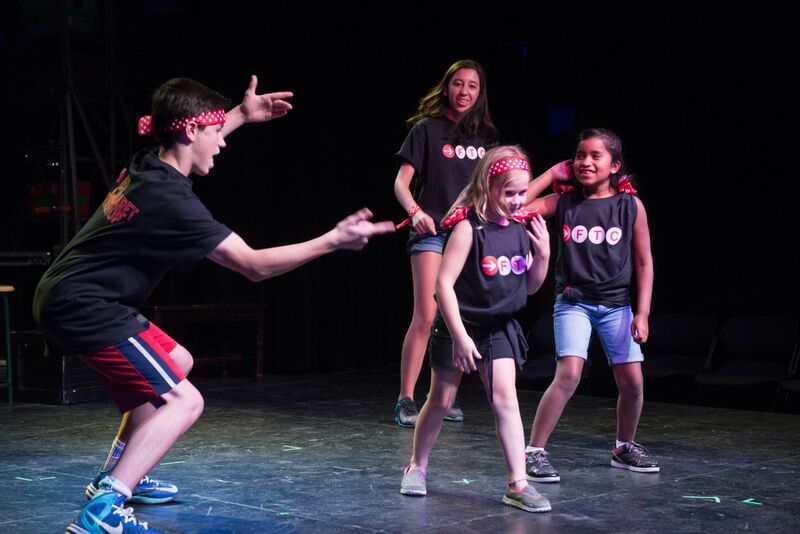 Maureen Hamill's Summer Cabaret Workshop at the Fairfield Theatre Company is a comprehensive, performance-oriented theatre program for children between the ages of 6 and 17 taught by theatre professionals under the direction of Maureen Hamill. The emphasis of the program is on developing self-confidence and poise, while bringing out the best of your child's talents and having fun. Our Summer Cabaret Workshop has a strong focus on song and dance with sessions in acting and improvisational skills. Our theatrical performance workshop develops stage presence and other aspects of theatre and nurtures the concept of teamwork as a cast to help participants work together to create a performance they can all be proud to stage. The Summer Cabaret Workshop consists of three two-week long sessions. Each session ends with a final performance on StageOne. Children are welcome to join one, two, or three sessions. No audition is required. The required Registration Forms will be emailed to you after you register. No special footwear is required but students are requested to wear tied shoes or sneakers (NO SANDALS) as they will participate in dance sessions daily. *Please note: On the last day of the Workshop there will be an early dismissal at noon, in preparation for the evening performance. All children must be picked up at noon. Our goal in the Summer Cabaret Workshop is to help each young person develop poise and self confidence. We encourage kids and work with them to cultivate their talents and abilities but most importantly, we teach them the concept of teamwork. The kids work together as members of a cast and help each other to create a performance they can all be proud to stage.